The Maryland-National Capital Park and Planning Commission, Prince George’s Department of Parks and Recreation invites individual artists and artist teams with interest in and/or professional experience in creating public art and site specific commissions, to submit proposals for the William Beanes Community Center. 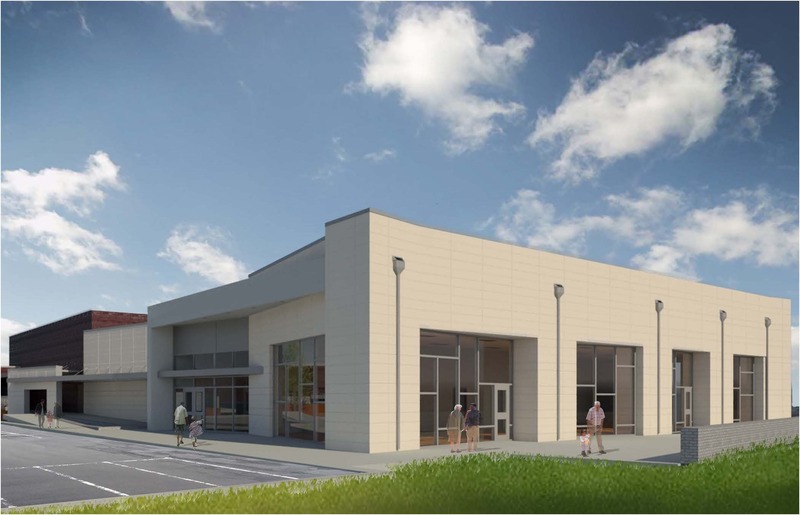 Project 1 will consist of an exterior artwork on the facade of the facility adjacent to the main entrance. Project 2 will consist of an interior artwork located on the wall above the control desk near the main entrance. Artists and artist teams may apply for both, but no one artist or artist team will be awarded both commissions. The selected artist/team will design, fabricate, and install a work of art in the form of a painted mural, metal, mosaic or glass installation for the interior; and a metal, mosaic or glass installation for the exterior. The project budget, including materials, fabrication, installation, travel and expenses, is $50,000.00 for Project 1 and $15,000.00 for Project 2. UNTIL 5:00 P.M. EST ON MARCH 27, 2015. This is an open call for artists to design and execute a mural to cover the exterior of the Torpedo Factory Art Center loading dock (rolling door along Union Street, see diagram for measurements.) This call is open to all local and regional professional artists (living in the DMV area). The selected muralist will be awarded $4,000, with a supply budget of up to $2,000. Proposal selection will be conducted by an independent arts professional in consultation with the Torpedo Factory Art Center CEO. The Baltimore Office of Promotion & The Arts announces the semifinalists for the 10th annual Janet & Walter Sondheim Artscape Prize. The competition awards a $25,000 fellowship to assist in furthering the career of a visual artist or visual artist collaborators living and working in the Greater Baltimore region. For 2015, 54 individual artists and two artist teams have been selected as semifinalists. Lauren Adams, Baltimore, MD Katherine Mann, Washington, D.C.
Kyle Bauer, Baltimore, MD Louie Palu, Washington, D.C.
J.T. Kirkland, Sterling, VA Jared Soares, Washington, D.C. The Sondheim Artscape Prize is held in conjunction with the annual Artscape juried exhibition and produced with the Baltimore Museum of Art and the Maryland Institute College of Art (MICA). Approximately six finalists are selected for the final review for the prize. Their work is showcased in the Thalheimer Galleries at the Baltimore Museum of Art from Wednesday, June 24 through Sunday, August 9, 2015. Additionally, an exhibition of the semifinalists’ work is shown in the Decker and Meyerhoff galleries of MICA on Thursday, July 16 through Sunday, August 2, 2015. An opening reception for the semifinalist exhibition takes place July 16, 2015 from 6pm to 9pm at MICA, located at 1303 W. Mount Royal Avenue. The fellowship winner is selected from the Baltimore Museum of Art exhibition after review of the installed art and an interview with each finalist by the jurors. Jurors for 2015 include Associate Curator at The Studio Museum Harlem, Naima Keith; Assistant Curator at the Dia Art Foundation, Kelly Kivland; and artist, Matthew Saunders. Artist collaborators, if chosen as the winner or finalist, receive a single $25,000 prize that is equally divided among the members of the group. Artscape is America’s largest free arts festival, attracting more than 350,000 attendees over three days. Artscape features 150-plus fine artists, fashion designers and craftspeople; visual art exhibits on and off-site, including exhibitions, outdoor sculpture, art cars, photography and the Janet & Walter Sondheim Prize; incredible live concerts on outdoor stages; a full schedule of performing arts including dance, opera, theater, film, experimental music and the Baltimore Symphony Orchestra; family events such as hands-on projects, demonstrations, competitions, children’s entertainers and street theater; and a delicious, international menu of food and beverages that is available throughout the festival site. Artscape’s total economic impact on Baltimore City is $25.97 million. For more information on the Janet & Walter Sondheim Artscape Prize, call 410-752-8632 or visit www.artscape.org. In 2012, Pleasant Plains Workshop and Outer Space presented the exhibition, Low Moments, to embrace the humor of our artistic failures. While the exhibition was everything that we hoped it would be, we feel that our work is not quite done. We are pleased to present Lower Moments, and encourage you to submit your most embarrassing artwork, art moment, curatorial disaster, embarrassing artist statement, or awkward art story to our upcoming exhibition! Creative Capital is accepting LOIs for Individual Artist Awards. The online Letter of Inquiry Form will open at 4:00 pmEST on February 3, 2014 for applications in Emerging Fields, Literature, and Performing Arts. Emerging Fields may include architecture/design, digital arts, gaming, interdisciplinary, new genres and sound art. Literature may include fiction, genre-defying literary work, nonfiction and poetry. Performing Arts may include dance, dance-theater, experimental music performance, interdisciplinary, multimedia performance, music-theater, non-traditional opera, performance art, puppetry, spoken word and theater. The focus is on the live performing arts. 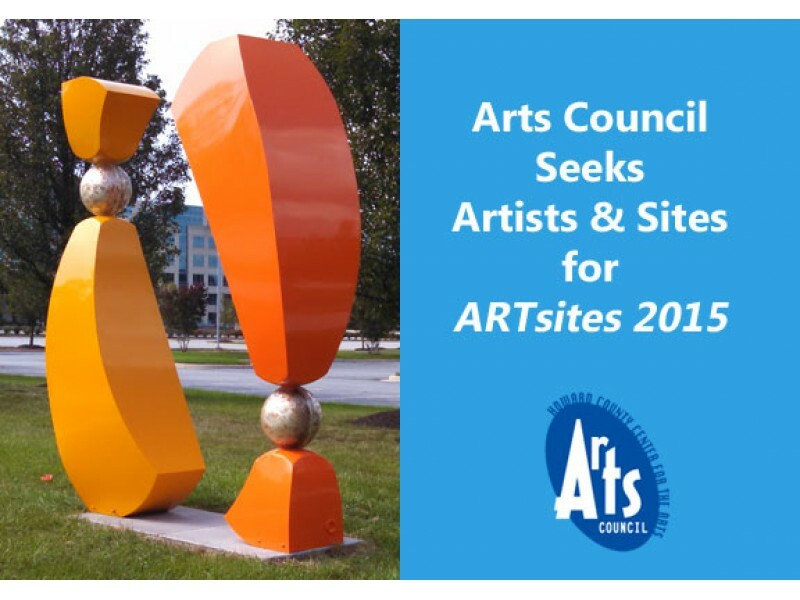 The Howard County Arts Council is looking for artists with large-scale sculpture that is fit for year-long outdoor display to participate in ARTsites 2015, a year-long public art exhibit. ARTsites 2015 will take place at up to 13 sites throughout Howard County, Maryland from August 2015-July 2016. Sites and artwork will be selected from submissions by a panel of arts and public art professionals. Artists with public art experience may submit up to six existing works for consideration, or propose new work with proper concept drawings and/or models. Selected artists will receive a grant of $2,500 for the temporary loan of the work, insurance, installation and de-installation. There is no fee to enter. Visit http://hocoarts.org/exhibits.php to download an RFP. In partnership with the Parks and Recreation Division, the Broward Cultural Division’s Public Art & Design Program is seeking to commission one artist or artist team to design, fabricate and install site-specific artwork at Dillard Green Space, located in Fort Lauderdale, Fla.
To see a full version of this Call, including the project description and submittal requirements, please visit: http://www.broward.org/Arts/PublicArt/Pages/Calls.aspx.